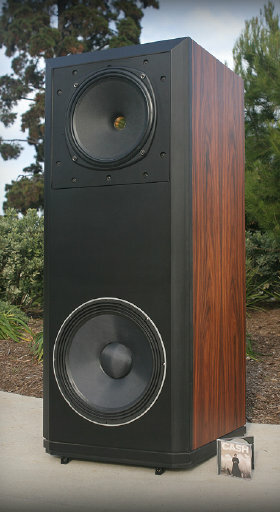 PTE is dedicated to producing high quality powered Loudspeakers. With over 20 years of experince in the design of powered speakers we build products based on scientific principles. Our speakers use many of the finest drivers available, coupled to complex electronic crossovers and reliable power amplifiers. To the right is the Statement Loudspeaker, our effort to produce Hi-Fi at live levels. It will transport you to the musical performance! PTE is committed to manufacturing high quality products here in America. Some of the parts will come from abroad, but the electronics, the metal work, and the cabinets will always be the work of the best American craftsmen. Our products demonstrate the clear advantages of powered loudspeakers. We firmly believe that the powered speaker is so superior to its passive counterpart that the educated listener will hear its superiority. Click the link below to learn more about powered speakers. Click here to read our most recent review in "The Audiophile Voice." Click here to read our review in the "Stereo Times." Another stunning review of the Phoenix from Stereomojo.